Academician Mikhail Fedorovich Zhukov (1917-1998) is an outstanding scientist and the organizer of science, the head of the plasma dynamics department of the Institute of Theoretical and Applied Mechanics. Basic research of M.F.Zhukov in the field of dynamics of gas and low-temperature plasma is widely known in our country and abroad. The Siberian scientific school of plasma dynamics that has been created by M.F.Zhukov is renowned both in Russia and among foreign researchers. His disciples who successfully protected 14 doctor and more than 40 candidate dissertations work actively in the field of low-temperature plasma. M.F.Zhukov pioneered in conducting complex experimental studies of generators of low-temperature plasma. Together with his disciples, he was the first to examine and describe a number of fundamental physical processes in electric arc plasma, to develop a comprehensive system of similarity parameters, and give an estimate of their significance under peculiar conditions of arc burning. For the first time he has created a theory of arc burning in a laminar flow. The developed engineering method to calculate electric and thermal values of generators of electric arc plasma has found wide application in the development of pilot and commercial apparatuses. Powerful high-enthalpy electric arc generators of plasma with interelectrode inserts together with alternative circuit constructions that have been created under the supervision of M.F.Zhukov, have found wide application in plasma chemical technologies. Great success has been achieved in practical implementation of without-black-oil plasma burning out of pulverized-coal fired boilers of thermal power stations, in obtaining of ultradispersed powders of high-melting compounds in plasma chemical reactors and in their application, particularly, in metallurgy for substantial improvement of physico-mechanical characteristics black and non-ferrous metals. Intuition of M.F.Zhukov and his orientation for the future were the factor that caused the emergence of a new scientific-and-technological field in 1980s, namely, plasma dynamics of disperse systems, which has determined in many respects the achievements in plasma jet spraying of powder coatings and of variously purposed composites. Mikhail Fedorovich gave much energy and efforts to popularization of science achievements and to their practical use in the diversity of industries: to spray powders, to cut and process metals, to salvage medical wastes, to remake toxic wastes into useful products, etc. 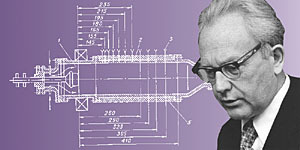 He often had speeches addressing to engineering staff, at scientific-and-practical seminars, to listeners of various courses for qualification improvement, on the radio and TV, and he widely propagandized the vast spectrum of potential practical implementations of the electric arc thermal plasma. The merits of M.F.Zhukov in the development of national science and education have been rewarded with numerous state and academic awards and premiums. In 1982, for the research and implementation of the powerful electric arc plasmatrons, he was granted the rank of the winner of the State premium of the USSR as a member of a group of authors; he was the winner of the premium of AS USSR and the Czechoslovak Academy of Sciences; he had the titles of the academician of the International power academy and the honor academician of the Academy of engineering sciences. * Sources: 1) YUbilyeinaya data: K 80-lyetiyu akadyemika M.F.ZHukova // Tyeplofizika i aehromyekhanika. - 1997. - T. 4, N 3. - S.351-352. 2) Pamyati akadyemika M.F.ZHukova (1917-1998): [nyekrolog] // Tyeplofizika i aehromyekhanika. - 1999. - T.6, N 2. - S.291-292. Dokumyent izmyenyen: Wed Feb 27 14:46:56 2019. Razmyer: 9,114 bytes.